Wow - these are so much like our Danish ones, called Pecan Gems! My grandmother made them for years, and after her passing we continued the tradition. 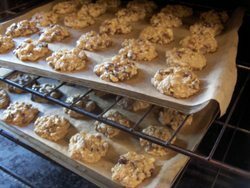 They go well in a tin of cookies with our mocha butterballs, and walnut crescents. We also do chopped (not ground) and a long slow bake. 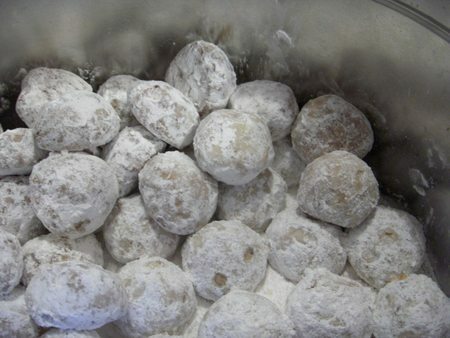 Your pecan puffs covered with confectioners sugar have me drooling all over my keyboard. I loooove cookies coated with, what I call, sugared snow. Thanks! I find all those pictires amazingly good!! I don't have an annual cookie-baking ritual, but yours seems to be more lake a tastes' party!! 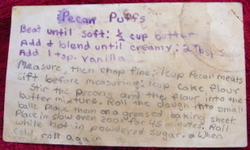 This recipe is actually so good i cant wait to make it at my house for my kids im sure they would enjoy it as much as i do i love the pictures thanks for sharing it with us. 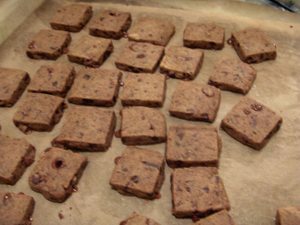 They go well in a tin of cookies http://www.outletburberryoutlet.com with our mocha butterballs, and walnut crescents.